In this guide, learn how to remove recently added list from Start Menu in Windows 10, using registry tweak or via Settings app. In Windows 10, when you install new Desktop or UWP app, they appear in Recently added apps section of Start Menu. This section is hidden by default but as soon as you add a new app, it becomes visible. For some users, it is okay have recently added apps listed on Start Menu. 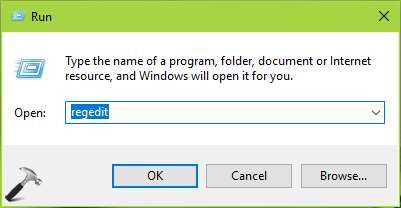 While there are some other users who want completely remove this section from the Start Menu. If you belongs to those users, here’s how you can remove Recently added apps section from your Start Menu. 2. In the Settings app, navigate to Personalization > Start. 3. Under Start, you’ll find Show recently added apps option as Enabled by default. Turn Off this option to remove corresponding section from Start Menu. Close Settings app and return to Desktop, if you like. After restarting your system, recently added apps section should be removed from Start Menu. TIP: If you want to apply above mentioned registry manipulation to your organization/workplace machines, you can deploy the relevant GPO setting. Set Remove “Recently added” list from Start Menu policy at Computer configuration > Administrative templates > Start Menu and Taskbar to Enabled. It is obvious that registry tweak or applying GPO setting will override manual settings.